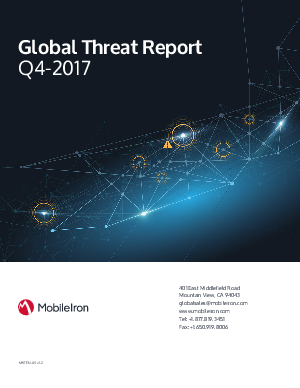 Enterprises and users continue to be concerned about mobile apps and mobile malware because they have been trained by legacy antivirus software packages. Look for a known malware file and remove it. The issue with this logic on mobile devices is the mobile operating systems evolve and add features very rapidly. The mobile operating systems add millions of lines of code in a year and therefore introduce unintended consequences, bugs and vulnerabilities. In 2017, there were more CVEs registered for Android and iOS than all of 2016 and 2015 combined. In 2017 there were 1229 CVEs awarded. Over half of these CVEs that received scores of 7 or greater indicated that the vulnerabilities are severe and exploitable. This trend is expected to continue as the mobile operating systems mature and more features are added.